The Department of Communication at St. Edward’s University prepares students for a creative career in one of today’s most challenging and rapidly changing fields — the global and interactive world of media and communication. 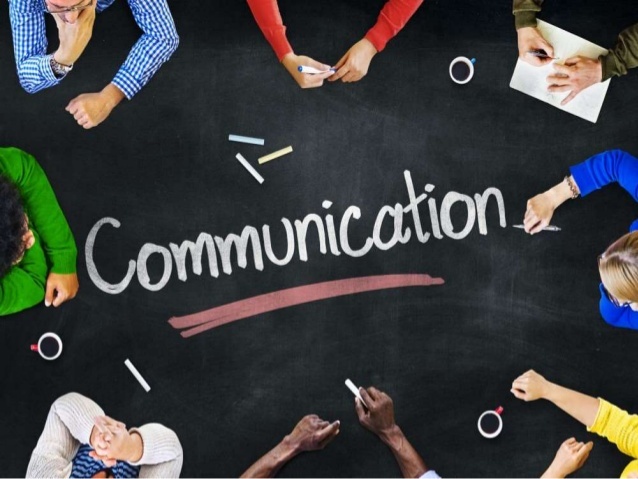 Communication is the cornerstone of everything we do, and one of the oldest disciplines, relying on rhetorical principles that date back over 2,000 years. It also is one of the newest academic fields of study, encompassing media, technological, organizational, intercultural, cultural, gender, health, political, interpersonal, family and group communication, as well as public speaking and rhetoric. Students explore these and other areas of study by focusing on complex ideas, such as how reality and cultural knowledge is produced, shared, maintained, repaired and transformed through the symbolic process of communication. Through coursework and an internship, students explore the many aspects of verbal and nonverbal communication and how it influences human behavior and shapes society. Studies also prepare students for successful communication using a variety of mediums, including print, television, radio, film and the Internet. You may wonder why we call ourselves the Department of Communication and not Communications. The simple answer is that we use the term “communication” to reflect our department’s focus on the social scientific and humanistic study of communication—specifically, the process by which humans use symbols, verbal and nonverbal, to create meaning and form relationships with other humans in face-to-face or mediated environments. This is the essence of what we teach, research, and do in our department. “Communications,” in contrast, is often used to refer to the products—the messages that are transmitted or distributed—or to the equipment (like wireless or fiber optic cables) that conducts the transmission. While these are integral elements of communication study, they do not form the basis for our program. People tend to use the terms interchangeably, and even some social science departments like ours use communications with the "s." But we prefer “communication” to emphasize our focus on the scientific study of communication rather than the more applied “art” of communicating. Dr. Tim Appignani received his Ph.D. in Communication from the University of Illinois at Chicago, specializing in media studies with an additional concentration in Women and Gender Studies. 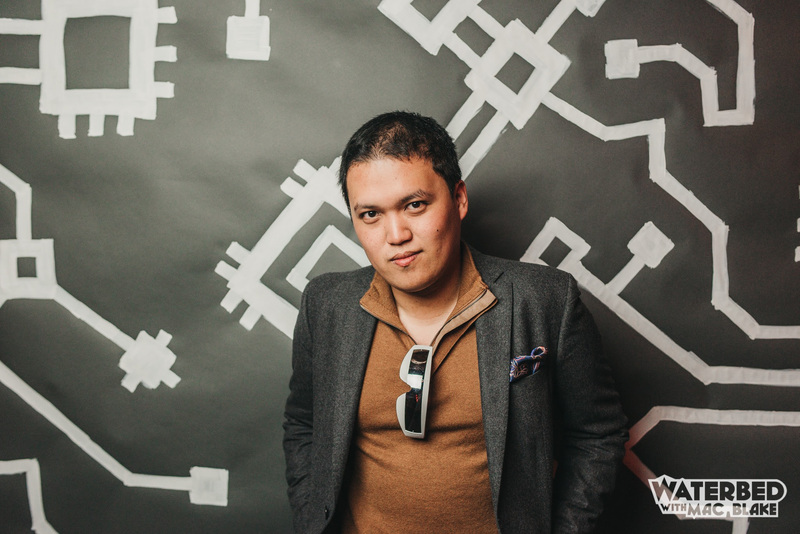 His dissertation, entitled “Sometimes The Old Ways are Best: Regressing 007,” is a structural narrative and critical discourse analysis that examines the structures of feeling present in the James Bond franchise as it contends with issues of techno-masculinity in a digital era. In November, Dr. Billy Earnest co-presented a short course, “Playing with the Truth: Teaching Courses in Deceptive Communication,” at the annual National Communication Association (NCA) conference in Salt Lake City, Utah. Dr. Teresita (Tere) Garza published a co-authored article with Dr. Maureen Ebben (University of Southern Maine). The article is entitled, “When They Go Low, We Go High: First Lady Michelle Obama’s Feminist Rhetoric of Inclusion.” Published in the peer reviewed Organization for the Study of Communication and Gender (OSCLG) journal, Women and Language, the article appeared in the Winter 2017/18 special issue (the publication became available Fall 2018). In November, Tere presented her research at the 2018 NCA convention. Her competitively selected paper is entitled, “When Hashtags Don't Play: #MeToo, Media Ecology, and Feminist Activism.” The Media Ecology Division of NCA sponsored the session. *Tere presented another competitively selected paper, “Senses of Time, Space, and Place in Social Media Resistance,” at the 19th Annual Media Ecology Convention in Bangor, Maine (June 2018). During the fall, Tere was invited to serve as a reviewer for a special issue of the journal Women’s Studies in Communication focusing on #MeToo. Tere achieved a major professional milestone in May—she was promoted to Full Professor with Tenure. She was also formally bestowed the status of Affiliated Faculty of the Master of Liberal Arts Program by Dr. Kris Sloan, Director of the Master of Liberal Arts program. In September, Dr. Stephen King attended the Council of Colleges of Arts and Sciences Seminar for Department Chairs in San Diego, California. In September, Mr. Matt Koshmrl received recognition from the U.S. State Department for his work with the Mandela Washington Fellowship for Young African Leaders Reciprocal Exchange Component 2018. He led a three-day film workshop to promote connection and collaboration with Zimbabwe’s film production community. In October, Matt received a City of Austin Cultural Arts Grant for his feature film, Dokdo: Lone Island, an upcoming documentary about the roots of identity, legacy, and national sentiment. At the 2018 NCA conference, Dr. Stephanie Martinez presented, “Ripping off the Band-Aid: Cancer at Midlife” (Ethnography Division). This essay will be published in the forthcoming edited book entitled Narrating Midlife Crisis, Transition, and Transformation published by Lexington Press (see “Works in Progress”). Dr. Innes Mitchell received a SPICE grant for Fall 2018 to produce a series of films on his hike of the Lycian Way, in Turkey, last summer 2018. Part 1 of the series can be viewed on YouTube. Dr. Lori Peterson presented an essay entitled, “And Then There Were Two, 2.0,” at the 2018 NCA conference (Ethnographic Division). At the NCA conference, she also served as a panel organizer for the peer-reviewed paper session entitled, Narrating Through the Myths of Midlife: An Authors’ Forum (Ethnography Division), and Panel Chair for the peer-reviewed paper session From Daughtering to Caregiving: Negotiating Family Role Expectations, Portrayals, and Enactment (Family Communication Division). In the area of service, Lori is a member of a number of university committees including: Faculty Evaluation Committee (FEC), At-large representative, 2018-2020; Faculty Senate, At-large senator, 2018-2020; Faculty sponsor, AIESEC, 2018-present. Dr. Nancy Reiter-Salisbury completed her Ph.D. at the University of the Rockies (Denver, CO). Her doctorate is in Organizational Development and Leadership with a specialization in Social Media and Technology. Her dissertation is entitled, “Corporate Social Responsibility Stakeholder Communication and Organization Development in Small and Medium-Size Enterprises. 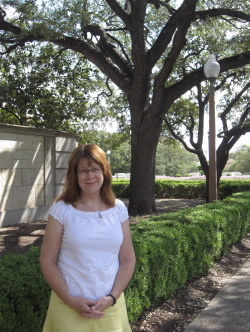 Nancy presented, “Personal Learning Networks: Leveraging Digital Connections” at the Texas Digital Learning Conference in Austin. Nancy also attended a number of conferences: PRSSA National Conference (Austin) (Public Relations Student Society of America); PRSA National Conference (Austin) (Public Relations Society of America); Social Media and Digital Communications Conference at Amazon (Seattle, WA). She is the faculty advisor to PRSSA’s SEU Student Chapter. Dr. Teri L. Varner presented, “Can We Do a Better Job of Teaching Listening? A Quantitative and Qualitative Look at Metacognitive Listening Strategies at Play in the Classroom” at the 2018 NCA conference. In September, Teri engaged in cross disciplinary teaching: “Scientific Communication” for SCIE 2101- STEM Student Leadership Development Seminar. She developed the Mock Grant-Pecha Kucha Oral Presentation Rubric. She also completed the following certification: Certificate of Completion Awarded by EVERFI through St. Edward’s University: Harassment & Discrimination Prevention. Visiting Instructor Susan Whiteside fully incorporated service-learning into the classroom during the Fall 2018 semester. Students in COMM 3360 Advertising Creative Strategy were challenged to partner with nonprofit organization Hungry Souls to develop an advertising plan and materials that addressed food insecurity in Austin. A semester-long service-learning approach was taken in COMM 4326 Public Relations for Nonprofit Organizations. 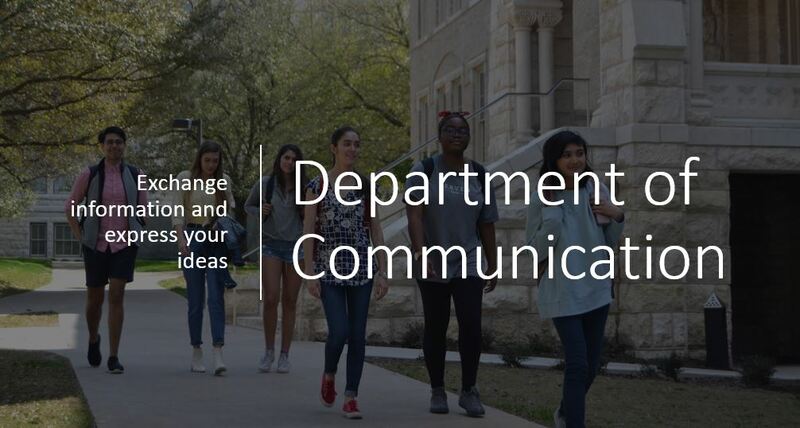 Students in that class adopted the university’s Department of Communication as their client, and student teams were tasked with evaluating the image of the department and current use of promotional communication. They then developed public relations plans to build awareness and understanding of the Communication major. Proposed tactics included a humorous “Mean Tweets” (2018) video featuring the faculty responding to tweets about communication and a COMM Department Instagram account to promote department news and activities. Billy Earnest and co-authors (Drs. 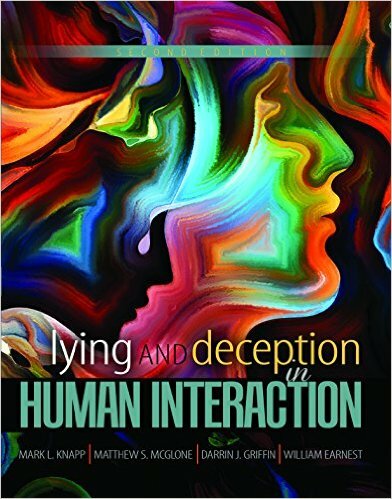 Mark Knapp, Matthew McGlone, Darrin Griffin) are completing work on a new edition of Lying and Deception in Human Interaction. Expected publication date: 2019. During the fall semester, Mr. James NcNabb completed gathering data for his planned paper on the efficacy of drafting a script for public speaking. Jim completed a draft of this essay during the holiday break. He plans to submit the essay to a journal. Lori Peterson and co-editor, Christine E. Kiesinger (independent scholar), are completing work on a book project: Peterson, L.W. &. Kiesinger, C.E. (Eds.). Narrating midlife: crisis, transition, and transformation. Lexington, KY: Lexington Books (an imprint of Rowman and Littlefield). Expected Spring 2019 publication. Stephen King and Roger D. Gatchet are working on a book project entitled Marking the Past, Engaging the Present: Mississippi Civil Rights Tourism. This book project is under contract at the University Press of Mississippi. Teri Varner and co-author Dr. Laura Janusik (Rockhurst University) will submit qualitative research, “(Re)Discovering Metacognitive Listening Strategies in L1 Environment,” for review to the International Journal of Listening. The purpose of the Marion Albert Leadership Scholarship is to assist Hispanic/Latina/o American students in completing their higher education at St. Edward's University. This scholarship is available on a competitive basis to undergraduate students of Hispanic/Latina/o background. Awards have ranged from $500-$2,500 (pending funding). The purpose of the Marilyn Schultz Journalism Scholarship is to assist Journalism minors and Communication majors specializing in Media Arts and Broadcast Journalism in completing their higher education at St. Edward's University. This scholarship is available on a competitive basis to undergraduate students who have completed at least one year of study. Associate Professor of Communication, Marilyn Schultz helped launch the careers of many young journalists at St. Edward's University. She was also the faculty adviser for the campus television station at St. Edward's. 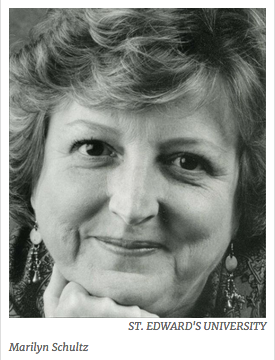 Dr. Schultz brought practical experience, scholarly credentials and a burning enthusiasm to her work as an associate professor of communication at St. Edward's University until her untimely death Sunday, January 10, 2013 after a brief illness. Dr. Schultz also worked as a reporter for an NBC affiliate in Washington that led to a class-action lawsuit against NBC and its affiliates in 1971 seeking equal opportunity and pay for women. Every April at the St. Edward's Honors Night, the Communication faculty selects one or two students to receive the Outstanding Communication Major award. Student demonstrates consistently high-quality, polished, and insightful assignments. Student exemplifies excellence in the ten learning outcomes expected in Communication. Student serves as role model and representative inspiration for Communication majors. 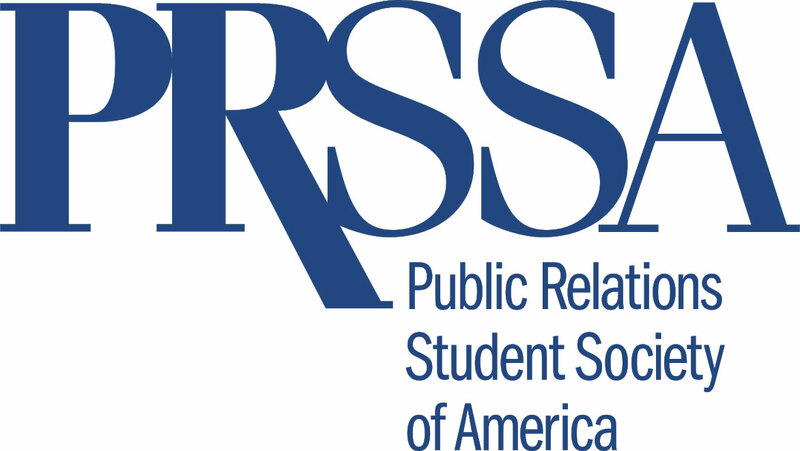 The Public Relations Student Society of America (PRSSA) is the foremost organization for students interested in public relations and communications. This student organization seeks to advance the public relations profession by nurturing generations of future professionals. PRSSA has a rich history of support from its parent organization, which offers professional development and networking opportunities to help students launch a career in public relations. Lambda Pi Eta (LPH) is the National Communication Association’s official honor society at four-year colleges and universities. LPH has more than 450 active chapters at four-year colleges and universities nationwide. Topper Radio is a student-run radio station which serves as an active channel of communication for students and faculty of St. Edward's University to express the University's values of high individuality through music, open dialogue and entertainment. A creative film-making club for students interested in any aspect of film production. Topper TV is a student-run broadcast network that offers entertainment for viewers at St. Edwards University. They can be found on YouTube, Twitter, Facebook, and Instagram, where they provide news updates. The Majors & Minors Fair is an excellent opportunity for departments to connect with first, second year, and transfer students. This event is also a great chance for students to meet faculty and learn more about each major and minor offered in their School. View PowerPoint from the most recent Fair. The Brother Dunstan Bowles Persuasive Speaking Contest is held in honor of Brother Dunstan Bowles, who was famous for his dramas, humor, and dedication to faith. The contest is usually held the first Friday in April and is open to all students at St. Edward's University. Students perform in front of a panel of judges and a live audience. Each contestant must present an original seven to eight minute persuasive speech on a current social problem and advocate for change. Cash prizes are awarded to the first, second, and third place winners, but all contestants who participate will receive a certificate for their participation. View photos from the most recent contest. The Communication Speaker Series brings esteemed thinkers from a variety of disciplines to the St. Edward’s University community to encourage new thinking perspectives and critical thought. This program supports the mission of the university and the Communication department by promoting lifelong learning and encouraging the pursuit of social justice. Attendees are exposed to social and cultural issues and challenged to think critically about them. Attendees will enjoy this celebration of creative expression. 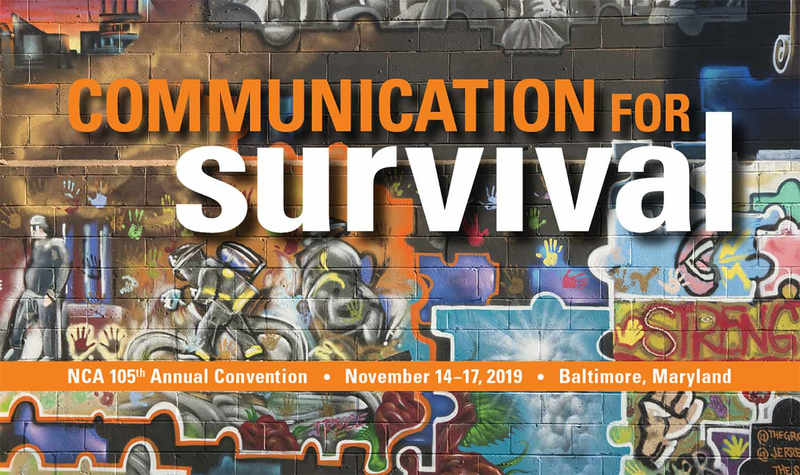 Communication majors who have completed high quality research and are interested in attending the National COMM Association (NCA) or Southern States COMM Association (SSCA) conference need a faculty mentor’s approval and supervision. You can find more information on the NCA's website and the SSCA's website. One of our international students from the Philippines was featured along with his Hot Pot Comedy group. They are creating a movement spotlighting Asian and Asian American struggles through comedy. Dr. Valerie Thatcher publishes a chapter entitled, "Text + Field Innovations in Rhetorical Method"
Victoria Gutierrez Pineda '00 [bachelor's degree] was awarded the St. Edward’s Alumni Achievement Award. Victoria majored in Communication and particularly enjoyed classes in rhetorical and cultural studies. After graduation, she combined her passion for communication and service with philanthropic work as a professional fundraiser. During the last decade, Victoria has conducted over 500 charity auctions, raising more than $40 million for nonprofit organizations. Previously, she served as the director of development for the University of Texas at El Paso in the College of Science. Now she serves as the assistant vice chancellor for institutional advancement at Texas Tech Health Sciences Center. Shayma Abu-Esba was an intern in the Marketing Office for three years and graduated in 2013 with a Communication degree. 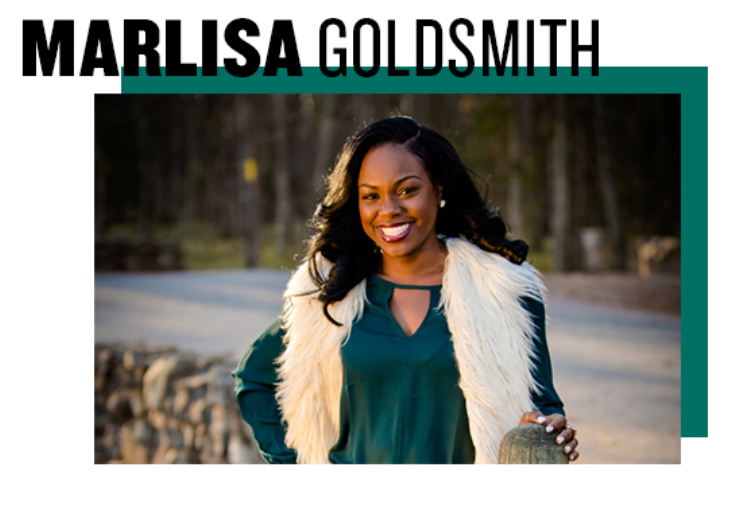 She is now a marketing project manager at CLEAResult, a company that designs, markets and implements energy efficiency programs for utilities, businesses and residential energy customers. Melinda O'Cañas graduated in 2010 with a Communication degree. She found a rewarding job helping others as a diabetes care specialist at Novo Nordisk, a multinational pharmaceutical company listed on the 2015 FORTUNE 100 Best Companies to Work For®.